Three police officers have appeared in court accused of lying to an investigation looking at the death of a Birmingham man in custody. Paul Adey, 36, Mark Fannon, 45, and Paul Greenfield, 50, pleaded not guilty to charges of perjury and perverting the course of justice when they appeared before a judge at Birmingham Crown Court. 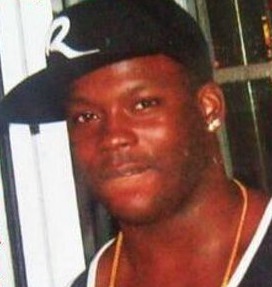 All three officers are alleged to have given a false account when being interviewed during an inquiry by the Independent Police Complaints Commission (IPCC) following the death of Kingsley Burrell in 2011. It is further alleged that the constables committed perjury during an inquest held last year by wilfully making statements which they knew to be false in relation to the "presence of a covering'' over Mr Burrell. The officers, all serving with West Midlands Police, were charged with the offences last month after an IPCC investigation. Mr Burrell, a 29-year-old father-of-three, died after suffering a cardiac arrest in 2011. Pcs Adey, Fannon and Greenfield were granted unconditional bail pending their trial. A date for the hearing, which may last up to six weeks, has not yet been set.